Light is produced in wavelengths - shortest being ultraviolet to the longest being infrared. Blue light falls on the shorter side of the wavelength spectrum and can be produced by the sun and artificial lights and devices. Blue light mimics the effect of the sun and it can trick the body into thinking it's day time and will still be awake. Blue light is everywhere. Digital devices (compusters, phones, tablets etc), LED and fluorescent light bulbs, TVs, the sun and so much more! Sleep disruption. When the body is exposed to blue light, it tells the body to stay awake because it mimics the effect of sunlight. This causes your body to be more alert, heighten your reaction time and elevates your mood. And like most people, we spend our time before bed either watching TV or on our digital devices which all contain blue light. Digital eye strain. Blue light is a High Energy Visible (HEV) light which hs been identified as the most dangerous light for retinas. BEcause the wavelengths are short, they scatter more easily, reducing contrast and making it difficult to focus. You'll notice over time your eyes begin to feel tired and could even cause blurred vision or headaches. Our eyes are naturally not great at blocking out blue light. Blue light may increase the chances of macular degeneration. 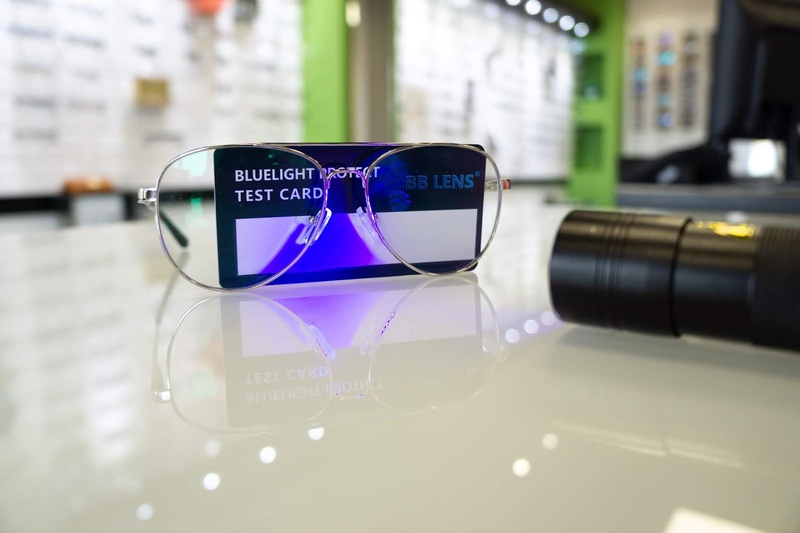 There have been studies that blue light could lead to macular degeneration (which is the deterioation of the macula which could lead to central vision loss). 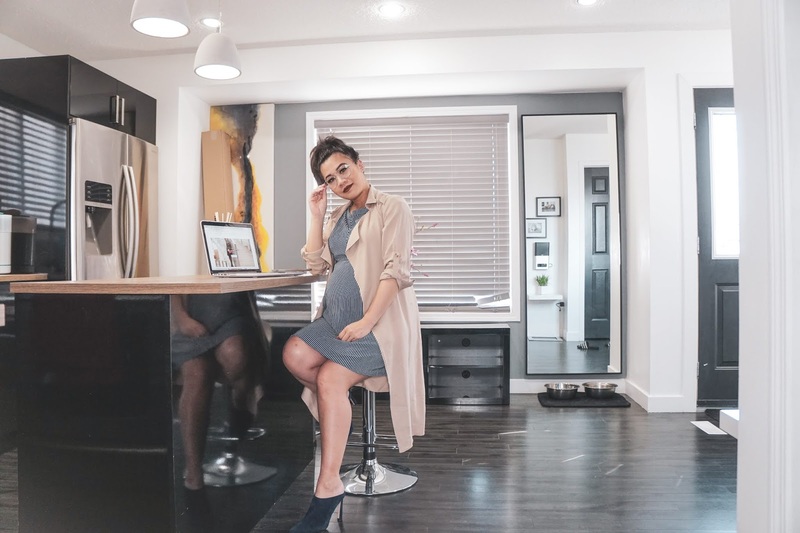 When there is too much exposure to blue light, it can damage light-sensitive cells in the retina and these changes resemble those of macular degeneration. Block light blocking glasses. If you are an avid digital device user, I would recommend booking an appointment at Lendrum Eyecare and talking to Dr. Ford or Dr. Krol about getting blue light blocking glasses. 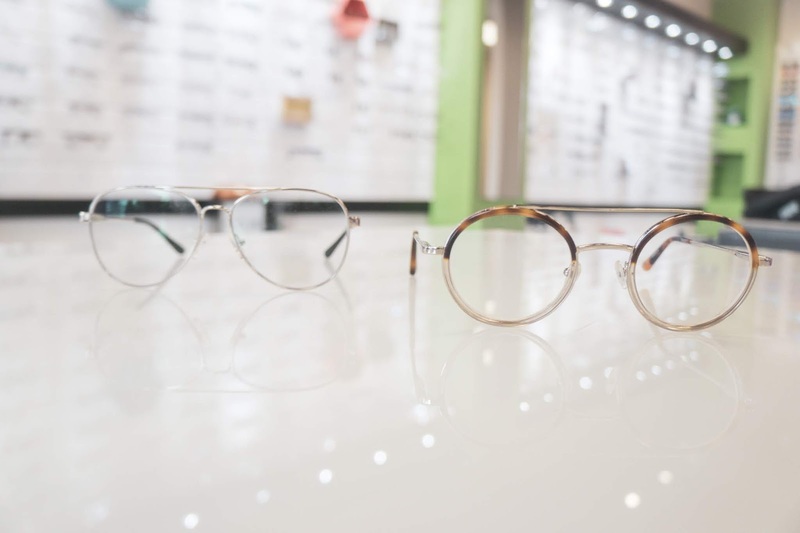 You can see from the above photos that the coating on the lenses filter out the blue light quite a bit and that will help decrease digital eye stress and help with your sleep cycle! 20/20/20 Rule. If you haven't heard of this rule, what it is is: every 20 minutes look away from your digital device for 20 seconds at about 20 feet away. This will help focus your eyes and avoid too much digital eye strain. Try to avoid digital devices before bed. This will probably be the hardest for everyone, even I have a hard time doing this. But the blue light from your device will keep you awake because of the suppressed production of melatonin. And if you are going to be on your digital device, I highly recommend using a "night shift" mode on your phone to reduce the amount of blue light emitted from your device. Seek natural light exposure during the day. Natural lighting is balanced with red light which is necessary for resetting your internal clock. Blue light blocker glasses can be fashionable. 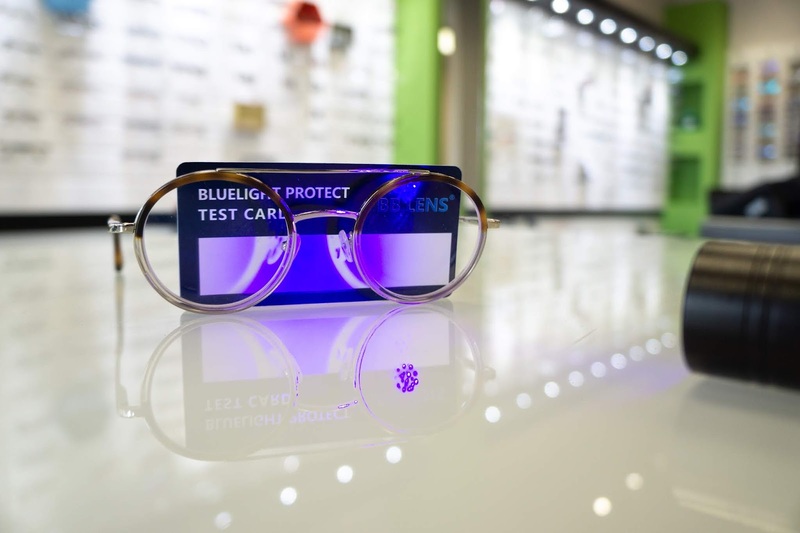 You can add a blue light coating to any pair of ophthalmic glasses, meaning you can have any pair of fashionable glasses and still protect your eyes from blue light. 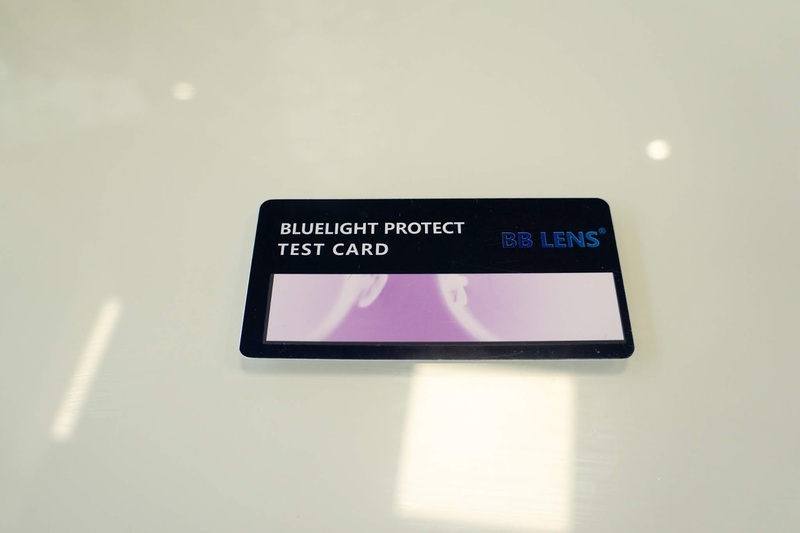 As you can see from the pictures above, glasses with anti-reflecting coating do not block out blue light. 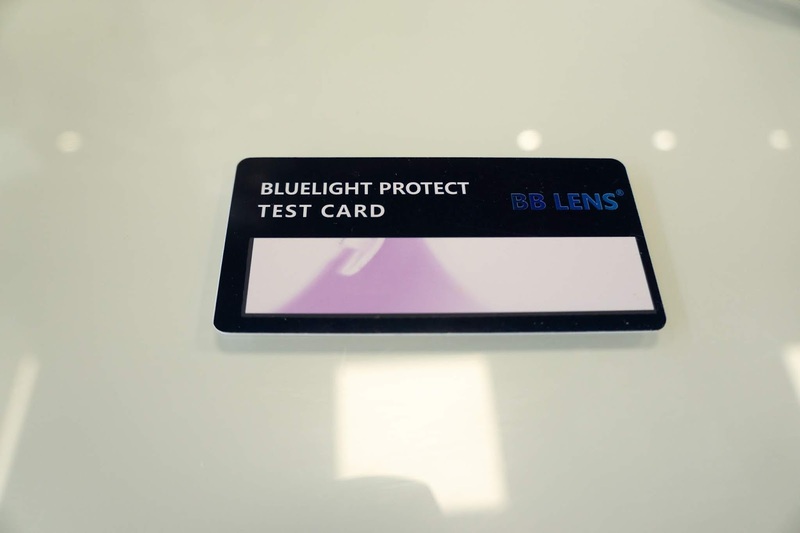 I would highly recommend booking an appointment at Lendrum Eyecare and finding out your best options for filtering out blue light.